This February half term, work with artists and architects from STORE Projects to explore the material world and built environment. Collaborate with them to create a new shelter for the future. Gain in-depth insight into their practice, experiment with materials and processes, and develop new skills. Meet renowned architect Farshid Moussavi in her studio to find out about her practice and how projects go from planning and development to realisation. Go on a curator- led tour of the Gallery’s major exhibition Is This Tomorrow? to see how unique pairs of architects and artists have collaborated to create new works offering their visions of the future. 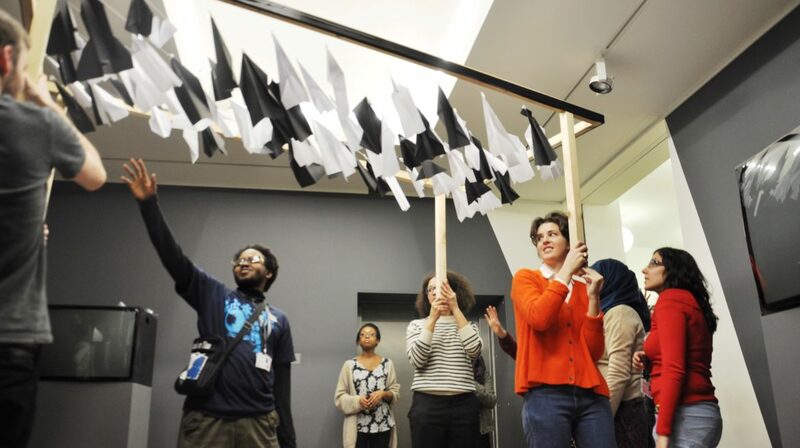 This Masterclass is part of the Whitechapel Gallery’s Youth Programme and is open to young people aged 15-21. Find out more about the programme here.